Now Stocking New Guinness Golden Ale! The Swan is Now Stocking New Guinness Golden Ale! In our latest post, we thought we had to tell you that we’re now stocking Guinness golden ale on draft! It tastes great, and we’re really excited for you all to try it so you’ve got to pop in over the Christmas period to try it out. With all the festivities going on over the next few weeks such as the Christmas & Boxing Day lunches, you might be forgiven for thinking we’re too busy! However, we’ve always got plenty of time to serve you a crisp, refreshing glass of draught Golden Ale so come and join us for a pint! For all those interested, here’s a bit more about the new beer. 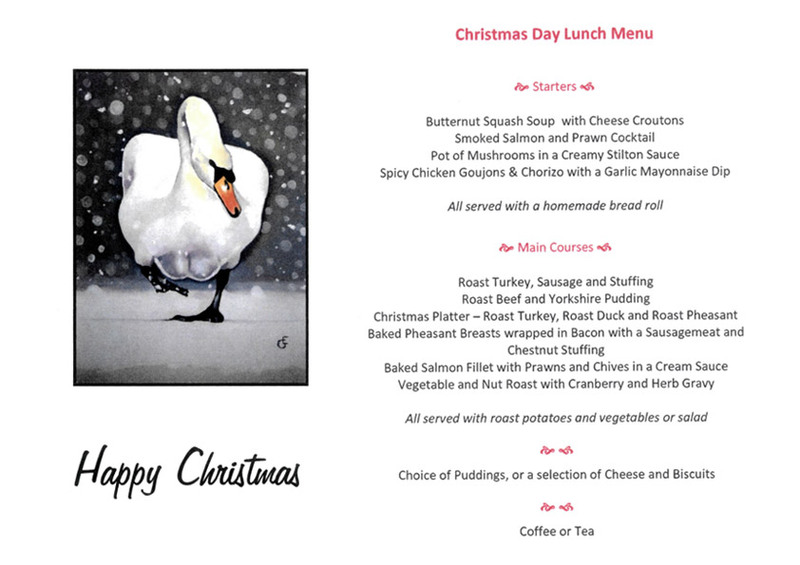 Have a read of the menu’s we’ve put together for the festive season. It’s all fresh, locally sourced and lovingly prepared to get you in the Christmas spirit! For our Christmas Day and Boxing Day menu’s check out the links below. Our Outside Catering in Leicester! Every dish on our outside catering menu is affectionately prepared with fresh, local ingredients from across Leicestershire. When it comes to outside catering we’re known for our reliable, efficient and professional service. We won’t let you down! Don’t forget, we can always sort out a menu tailored specifically to your own unique requirements! See the cold knife and fork buffet section of our menu for more details. Come and see us over the Christmas Period! So, whether it’s a refreshing pint of Guinness Golden Ale, popping in for some Christmas lunch or booking our outside catering service we’ve got loads to offer over the festive period! We’re looking forward to seeing you, so make sure you head down. Finally, if you think we can help you at any events in the New Year then please don’t hesitate to get in touch either via our website or by calling 01509814832. Our friendly, professional team are always on hand to answer any questions you may have. This entry was posted in Menus on December 21, 2015 by admin.